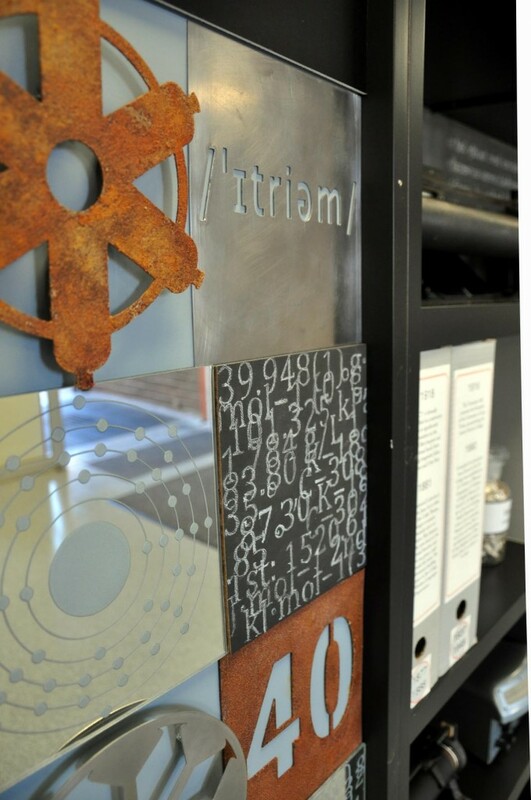 A UCT Works of Art Committee commission resulted in two works being installed in the PD Hahn building. 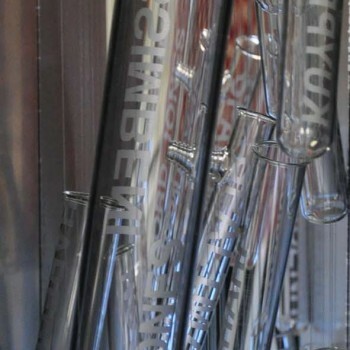 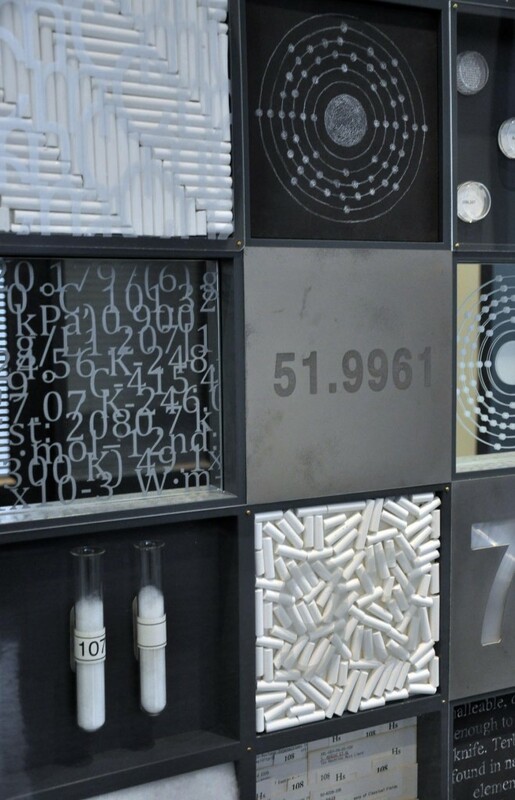 The first, Stoicheia, a large work of multiple components, was positioned outside the Chemistry Department reception and seminar room area. 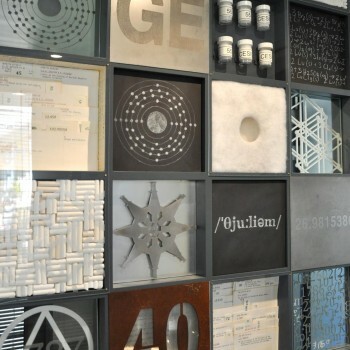 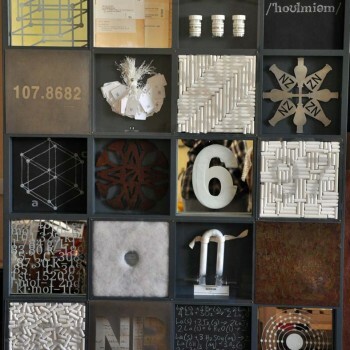 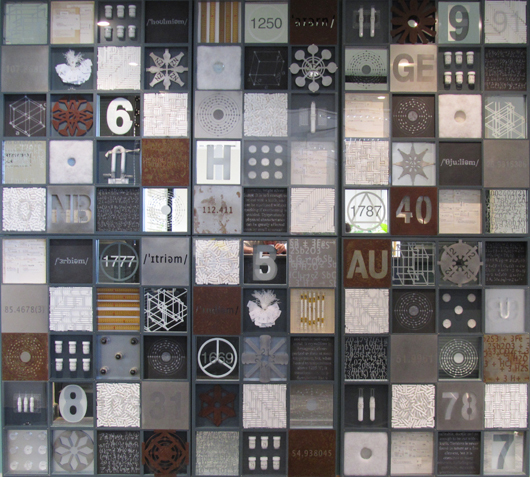 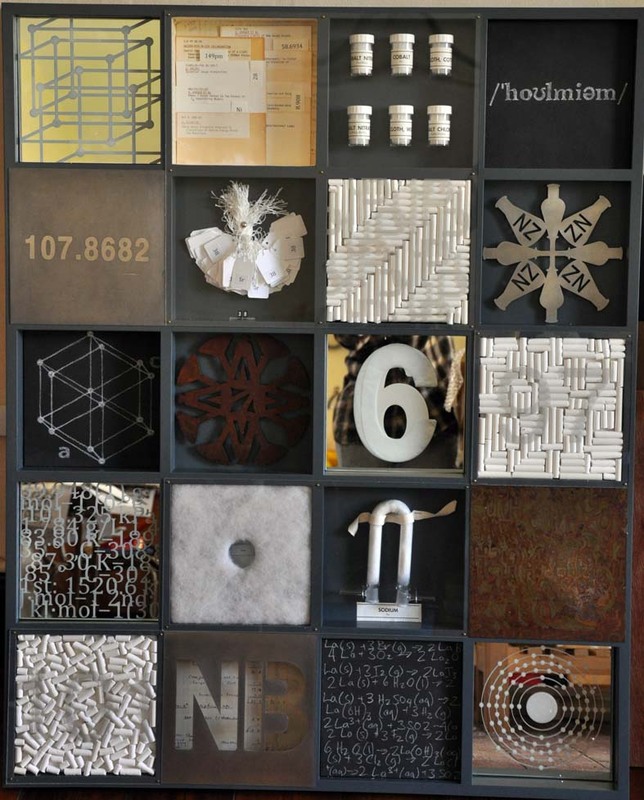 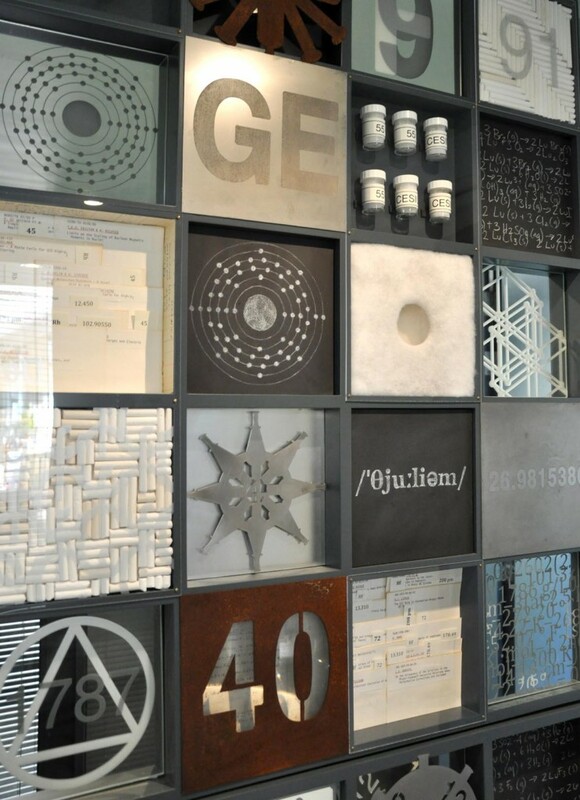 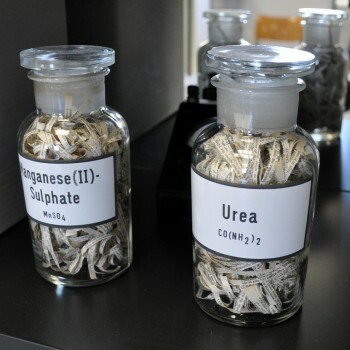 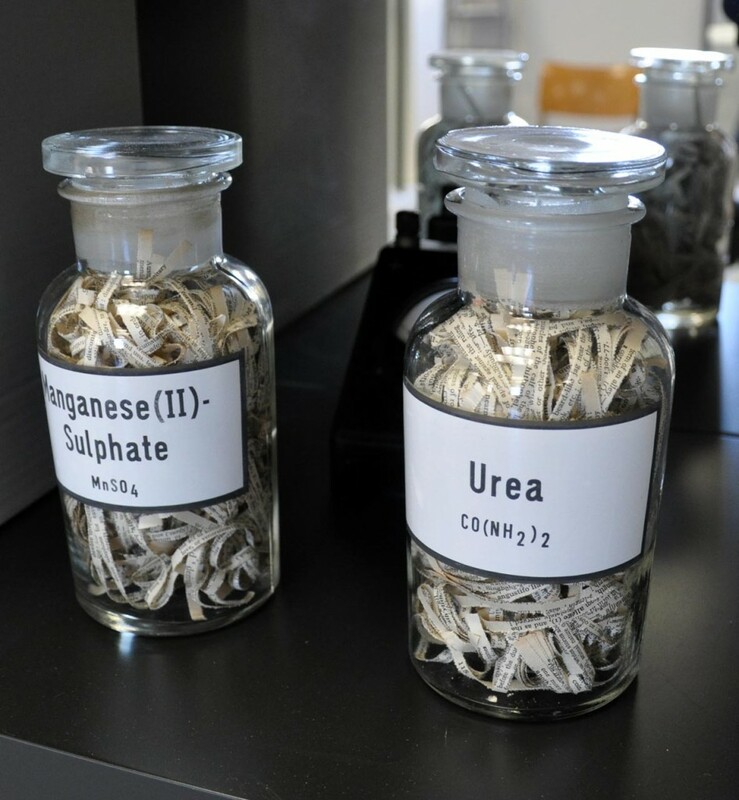 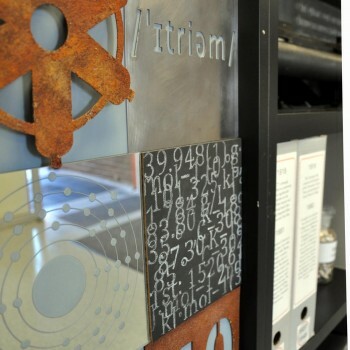 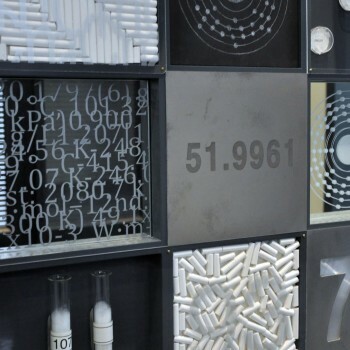 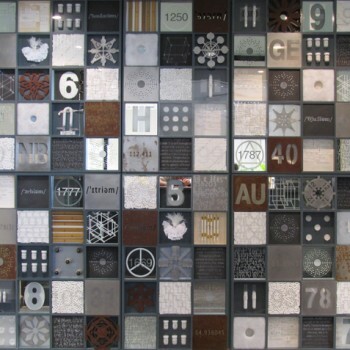 An interpretation of the periodic table, the work creates a complex visual matrix of symbols, materials and objects. 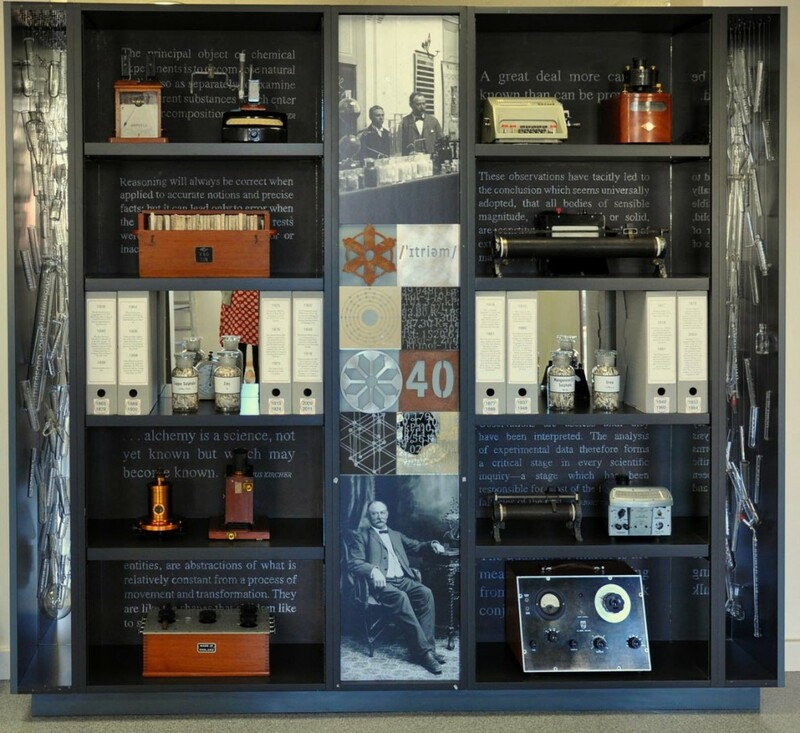 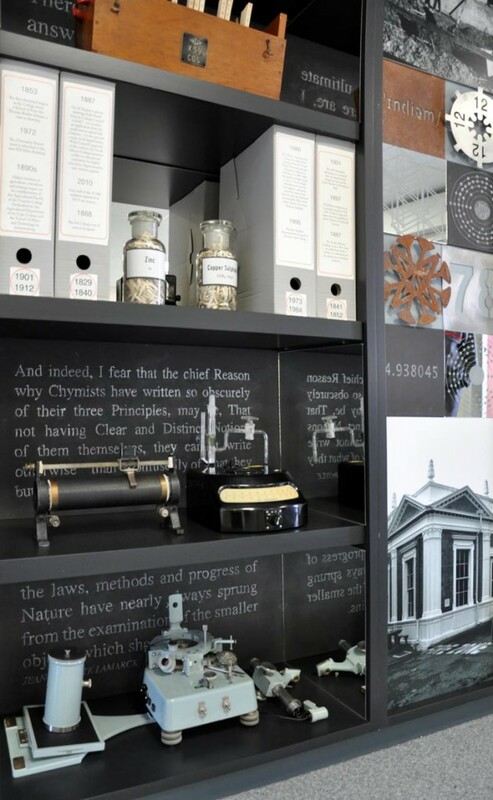 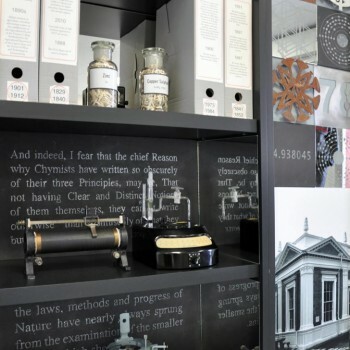 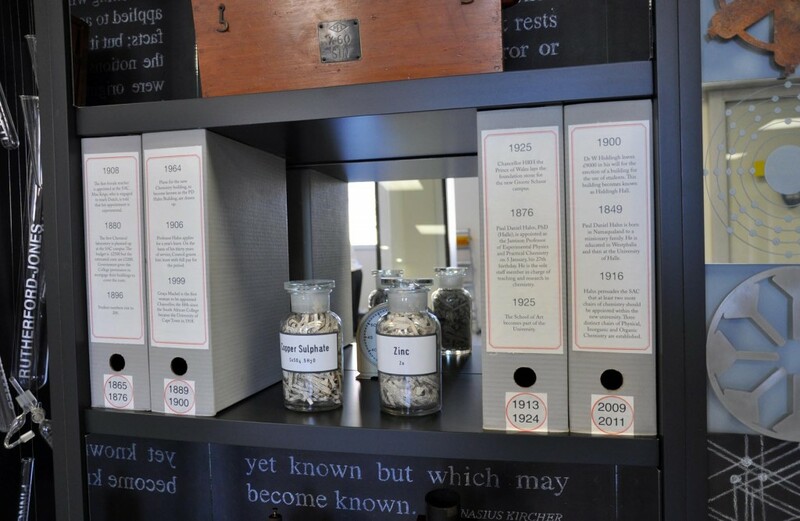 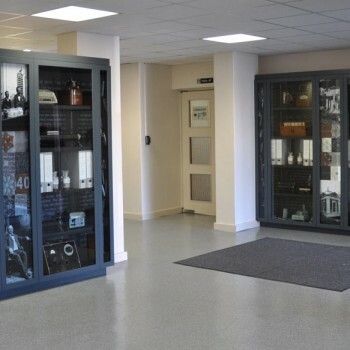 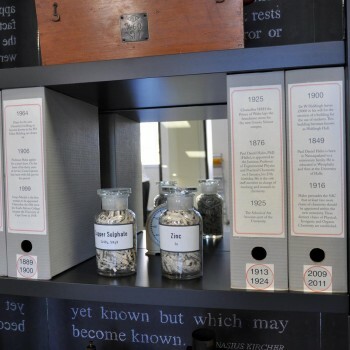 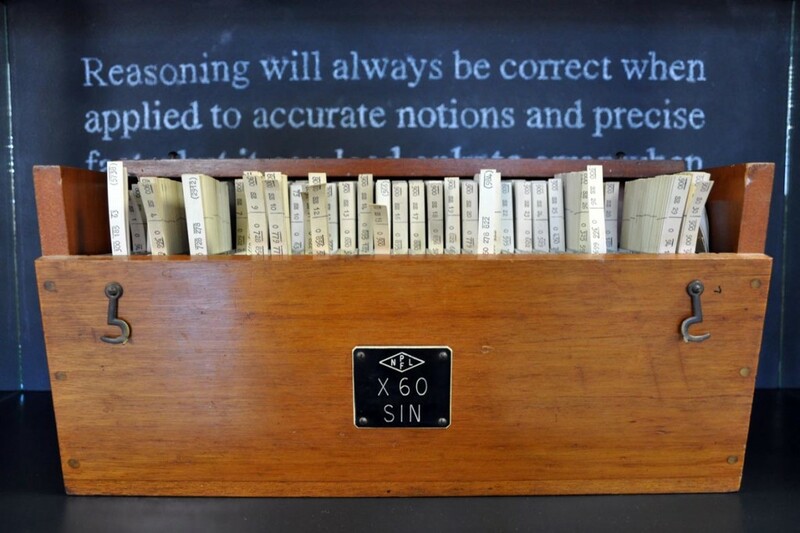 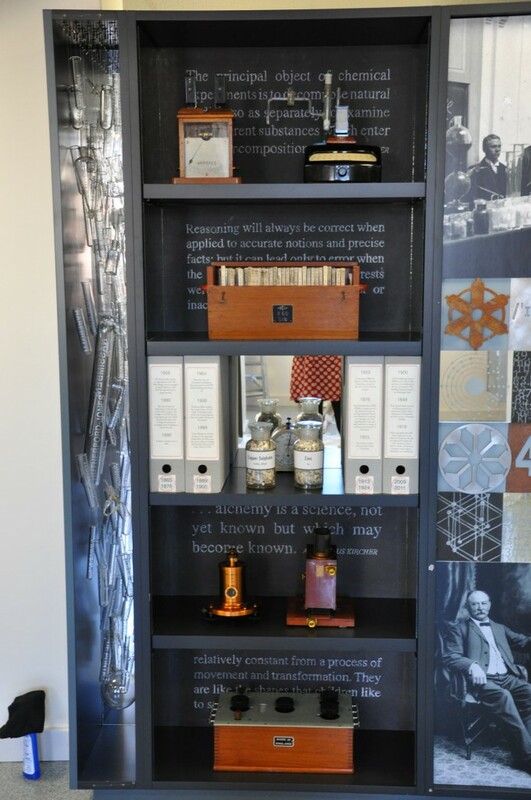 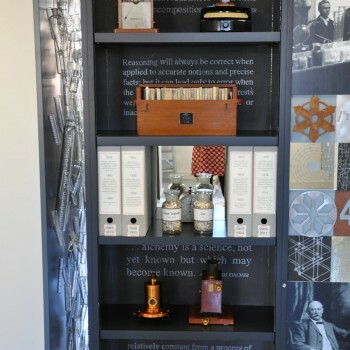 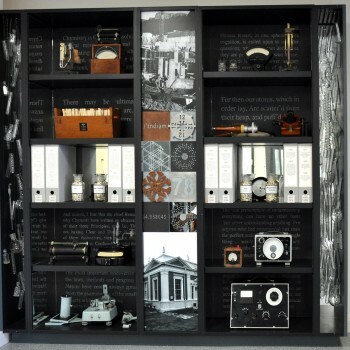 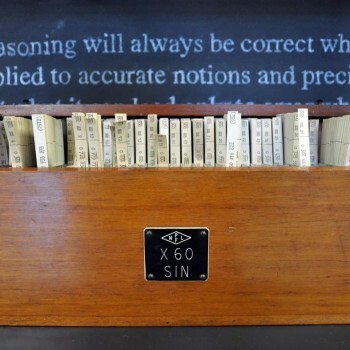 The second work, two large cabinets installed at the Southside entrance to the building, are curated to tell the interwoven stories of PD Hahn – the man and the building, the Chemistry Department and, obliquely, Hahn’s instrumental role in the introduction of women to the campus.